A very popular option for better neck support when traveling, the inflatable travel neck pillow is a great companion for easing tired and sore neck muscles and is easily inflated with a push button valve. 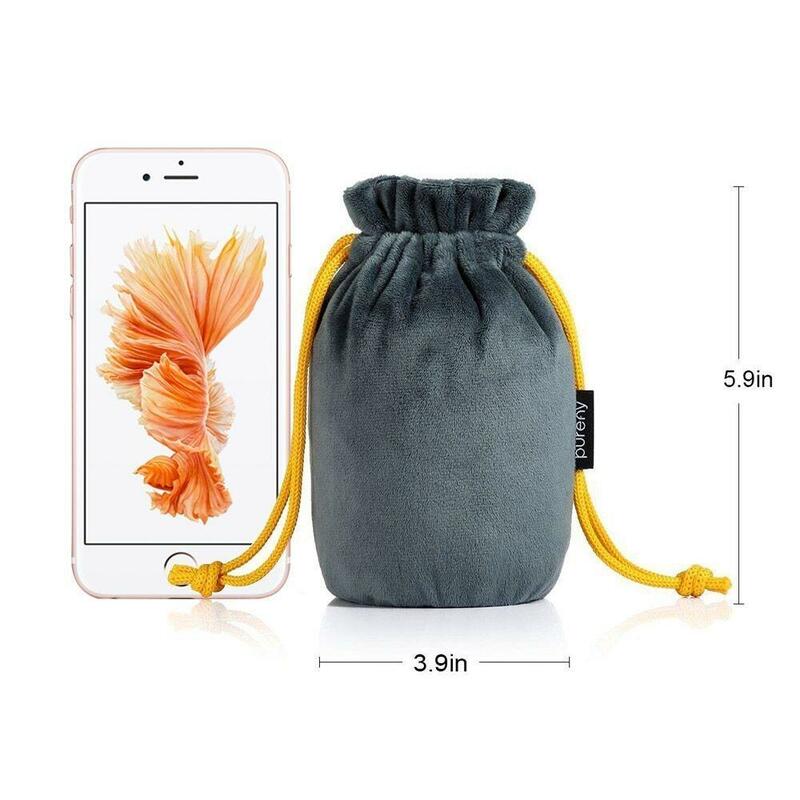 Very compact when deflated and stores in it’s own custom case. Special ergonomic design with raised edges to support the base of the skull, which adds to the secure feel. 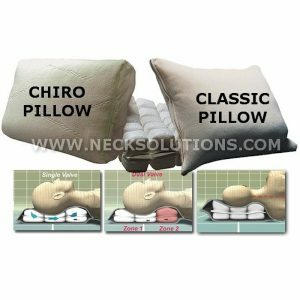 You can control the level of firmness or amount of support you need. 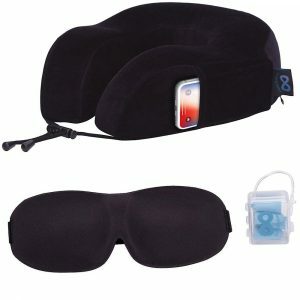 It uses a special ergonomic design with raised edges to support the base of the skull, which adds to the secure feel. 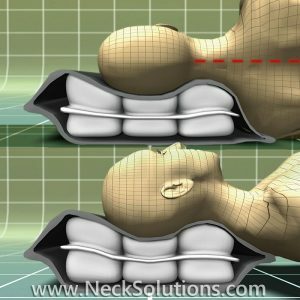 Being adjustable, you can control the level of firmness or amount of support you need. 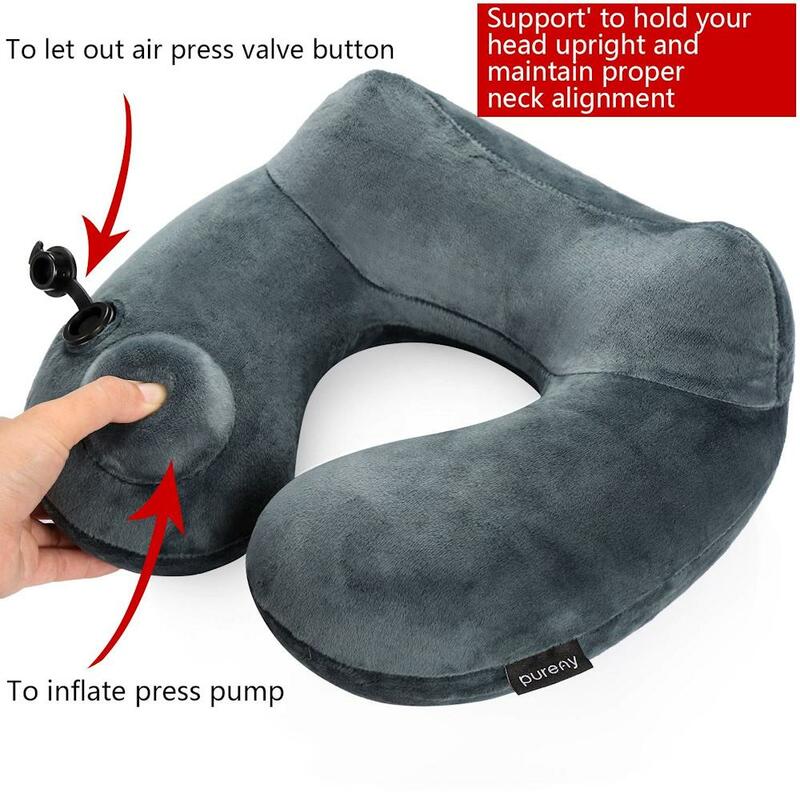 This can be beneficial for traveling when you are in various seats that offer different types of headrests as you can adjust the pillow for each specific application. 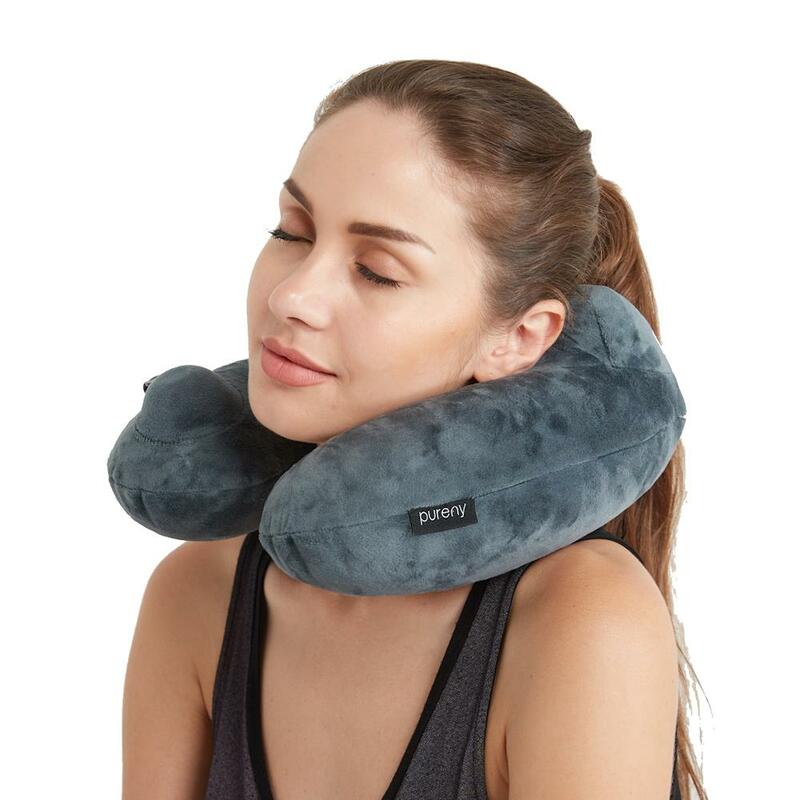 Maintaining proper support is important, especially for those with neck conditions that are easily aggravated by traveling. 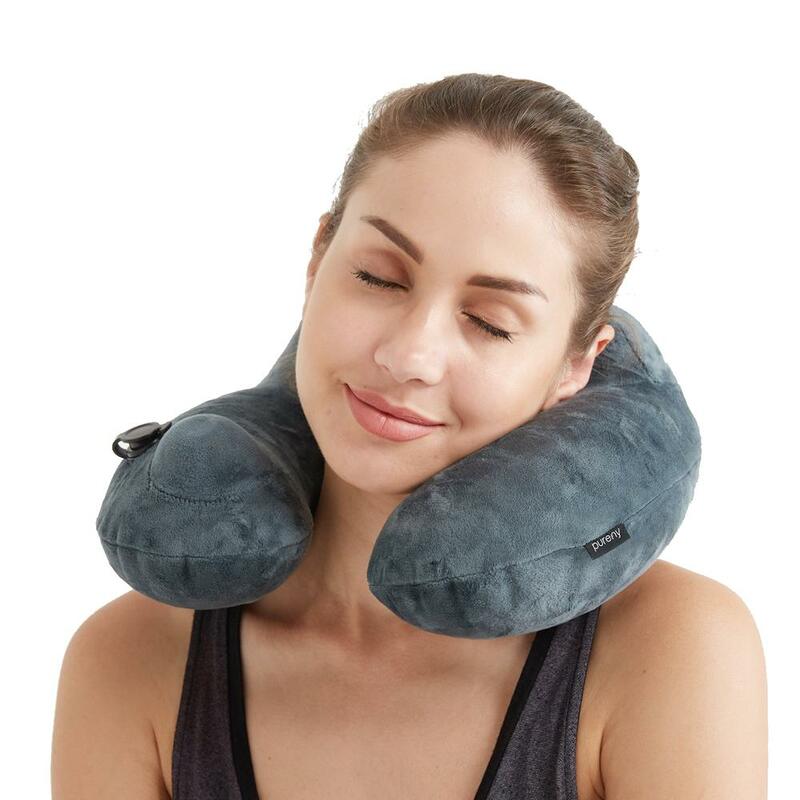 Long periods spent in one position like long plane flights can stress the cervical spine. Many forms of traveling like cars, buses and trains can additionally produce harmful vibration and motions. 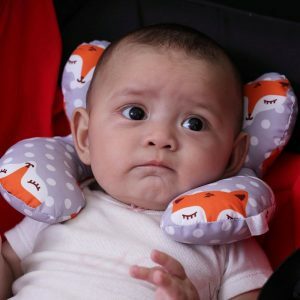 Unexpected motions while trying to relax can be particularly aggravating for those with cervical spine degeneration, disc problems and stiff neck muscles. 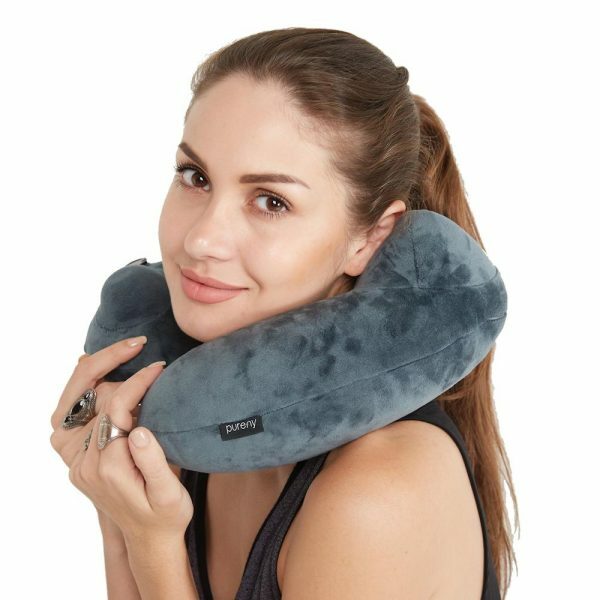 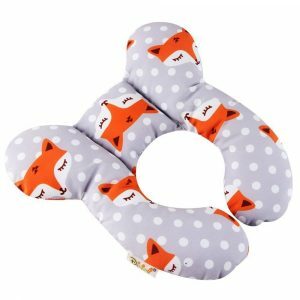 Using the inflatable travel neck pillow can be a great solution. 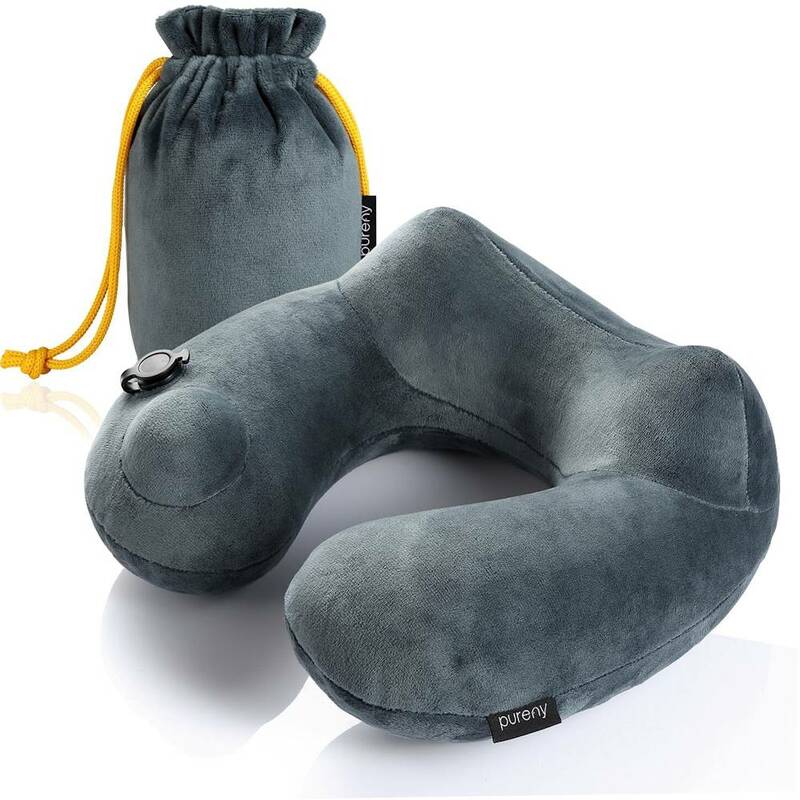 The inflatable pillow uses a separate bladder inside, so the soft, micro velvet covering can be easily cleaned. 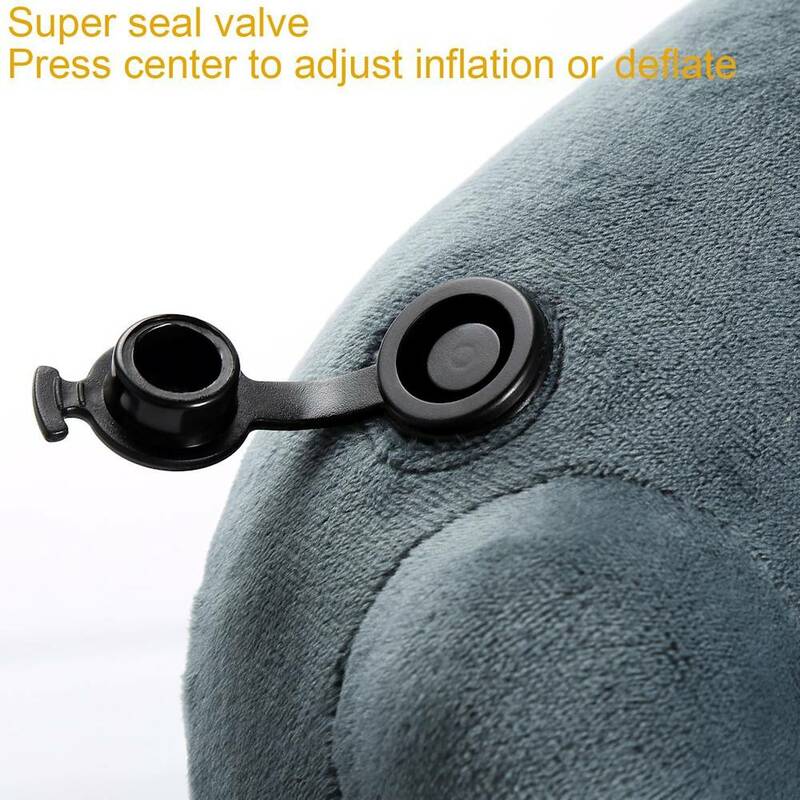 The inflation is by push button and takes about 15 to full inflation. It easily deflates by removing the valve and pushing the air out and it stores easily in it’s own pouch. 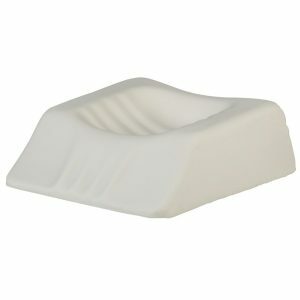 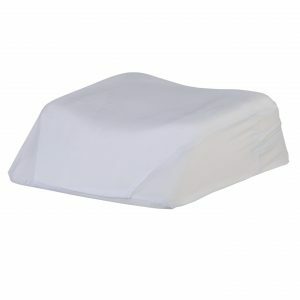 Ease of use and a very compact and lightweight design distinguishes it from other heavier, more bulky pillows. 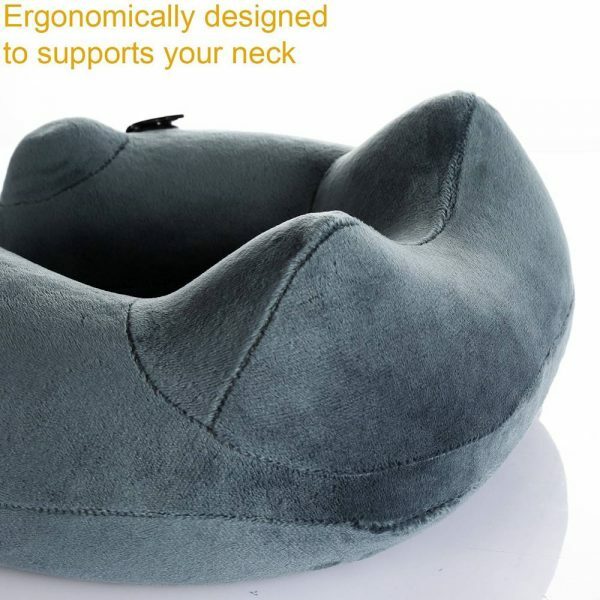 Slightly underinflating can give you a more plush feel and offer more comfort to sensitive areas, while full inflation provides a more stable neck and head support for those who desire a firmer type of support.